Here is a list of the best free Speech to text converter Software for Windows. These software let you enter the text by speaking, which helps in increasing the typing speed. These software meet most of your needs, but a lot of it depends on your clarity of speech. In case certain errors creep in, i.e. the words are different than what is required, you can easily rectify the errors. Using some of these software you can also control the PC, and operate it with your voice. These tools prove out to be useful for everyone, but quite useful for writers, and disabled persons. Out of the software enlisted here, I personally like Dictation Pro the most. It is due to the fact that it basically provides all the facilities of a basic Word Software, and is operated by voice. You can enter the images, files, links, and many more items to it. You can also open several documents like PDF, DOC, RTF, HTML, TXT, and HTML files in it and edit them. This software also lets you insert tables. Also check out Text To Speech Software, Free PDF Readers, and Screen Magnifiers. After installation you have to create a profile where you have to narrate few texts which help you to personalize your profile. Then you have to just narrate the text that you want to type. In case any wrong characters are typed in you can rectify your mistakes, and correct them. You can also open different types of document formats in it like PDF, TXT, DOC, RTF, XML, and HTML documents in it. This software can also be used to insert images, files, hyperlinks, and page breaks. You can also choose the fonts, text size, and other options. Here you can also insert tables. Basically you can do all the tasks that you can do in a word application, and all the tasks are controlled by your sound. You can also make use of keyboard and mouse in it. The spell check option is also provided, so that you can also make use of that feature. The printout of the document can also be taken. Choose the option Ease of Access, and then Windows Speech Recognition. Then choose your microphone option which may be either Headset Microphone, Desktop Microphone, or any other Microphone. Then you have to read out the sentence displayed after which have to undertake a few steps to finalize the settings. 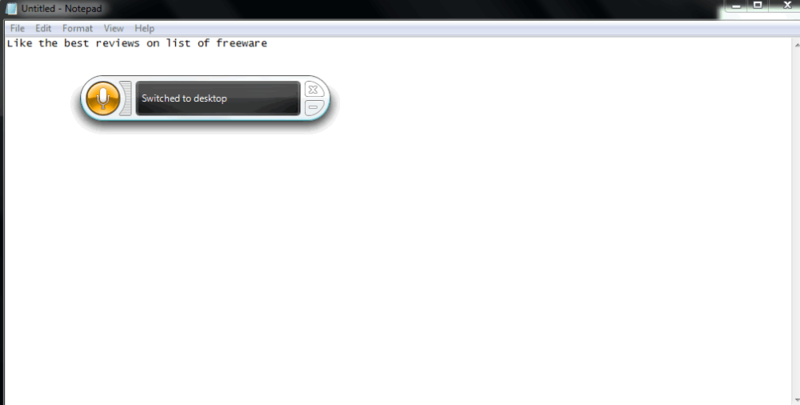 Then you are also displayed a tutorial page where you can learn about the basics of using this software. 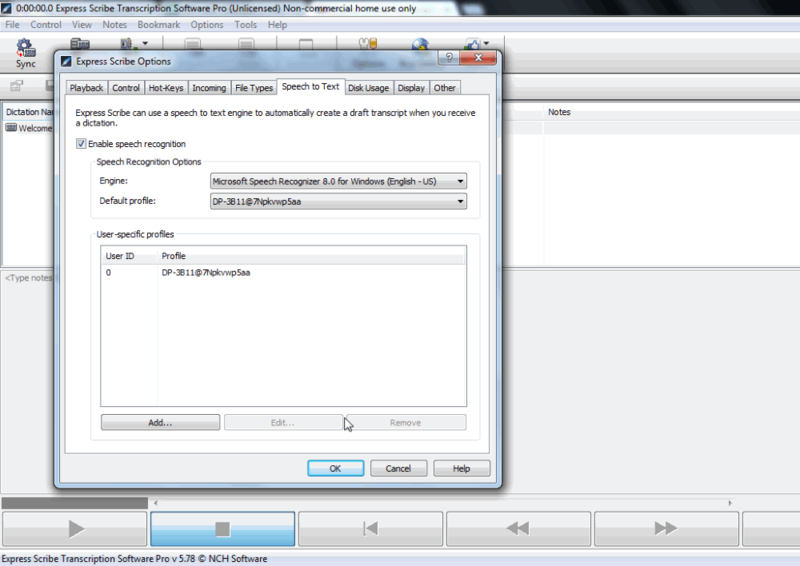 You can operate the computer using this program using the voice recognition software. The program keeps running in the background while it is minimized. The option can be set to start the program during start-up. In order to make it work properly to suit your needs you can also add some words and remove some of the words from the dictionary. Start dictating the words through the microphone. You can avail the following benefits using this freeware. Here you can also enter the text using the keyboard. You can also add your own dictionary. You can also select the option to time mark in name, time mark in text, and show screen tips. This software can also insert special symbols and new lines to it by clicking on the buttons displayed on the side. The notes can also be saved. The generated text can also be download as a text file. Braina is a simple and fun to use software which can help you convert speech to text. It is an artificial intelligence software which answers to your queries in an interesting way. In order to use this feature open it and click on the microphone button next to it. 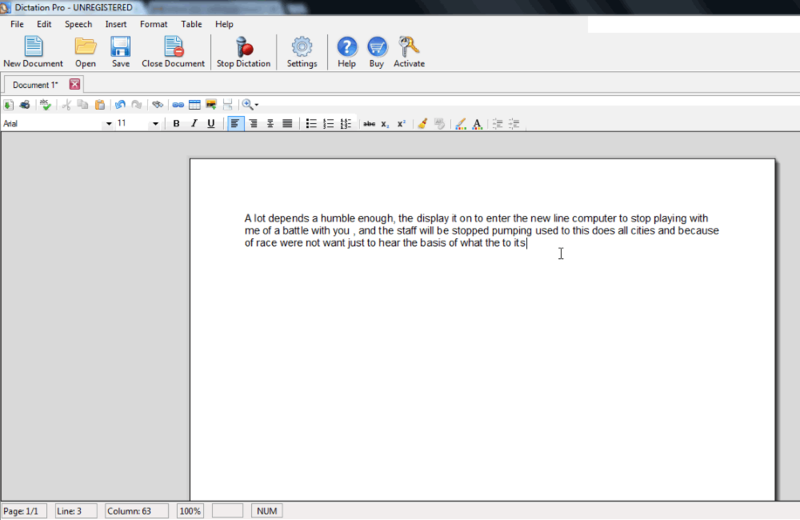 A new window is opened where your speech is converted to text, which can then be copied to the clipboard and put to further use. The questions are also answered. You can also select the voice, and voice speed. It can also act as a text to speech reader. You can also use this software to play alarms, add notes, and play music. Free Voice to Text Converter is a simple freeware which can convert voice to text as you speak. Click on the microphone button, and start speaking. The spoken text is displayed in the text box provided below. The generated text can then be copied to the clipboard. If required, it can also be saved in the form of TXT file. Go to the options settings. Choose the option of speech to text. Choose the option to enable speech recognition. You can then choose the speech recognition option where you can choose the speech recognition engine, and the default profile. You can also add any user specific profiles where you can choose the user ID and the profile. 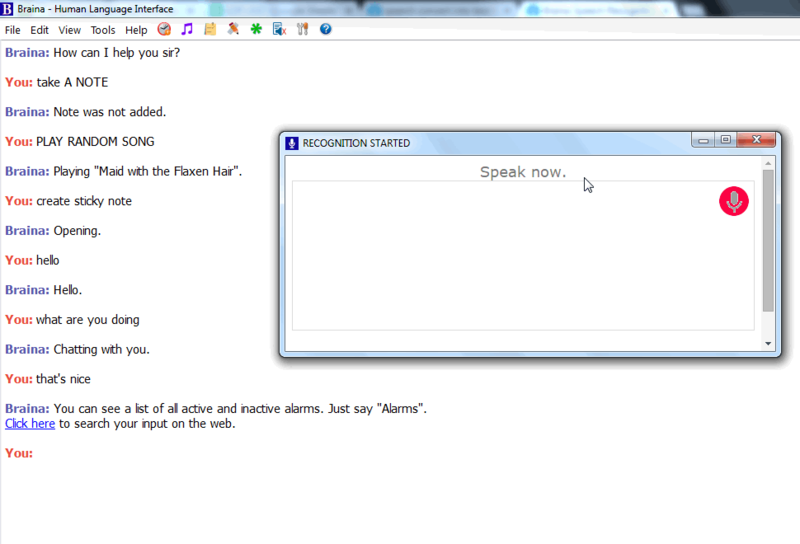 After you set up this speech recognition, the draft transcript for the dictation is created. 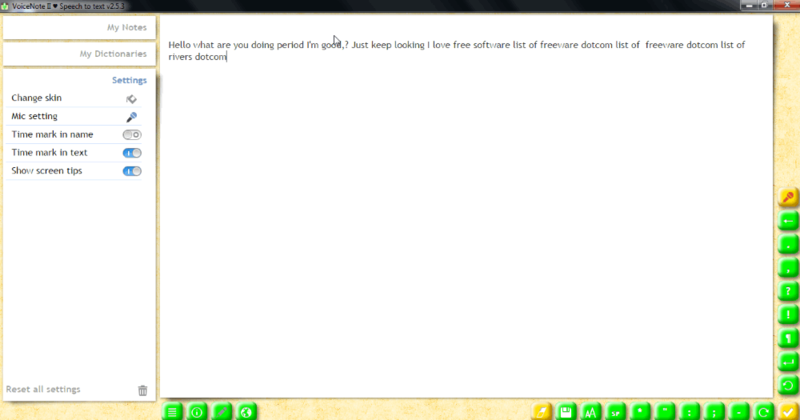 This in turn makes use of the speech recognition software in Windows. After setting, up you have to select the default profile in the dropdown list and you are good to go. Firstly you have to activate Windows Speech Recognition. Change the settings of Vocola3 which runs in system tray and you are good to go. Log window can be viewed, and dictation shortcuts can also be assigned. Different extensions can also be put to use to enhance the functionality.